Sorry for the kinda bad translation. * Yeongeumseok / sokseongseok rating of the elements needed to create yeongeumseok / sokseongseok rank equally with the changes. * Equipment Parts, a byproduct obtained during dissolution of the elements that grade level and the same products or equipment changes. 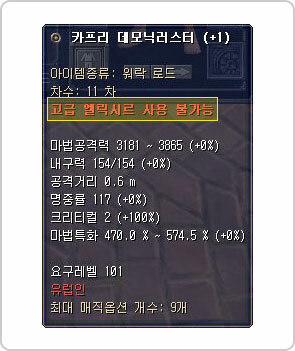 * Tablet combination of elements and was able to get through yeongeumseok / Monster sokseongseok items can be obtained through hunting. * Yeongeumseok / sokseongseok / elriksireu item is dropped on the floor, "special sound effects" will be displayed. .
# - There is Advanced Elixir Grade-A and Grade-B. - Advanced elixir (A grade): 100% chance to increase +1 rating helps strengthen. - Advanced elixir (B grade): 100% chance to increase +2 rating helps strengthen. - Advanced elixirs otherwise strengthen the existing order (1st-12 degrees) each exist. - Advanced elixirs are divided into common and rare. - Advanced elixirs (rare) use the same icon, but the shiny effect and can distinguish between the tooltip information. - Equipment decomposition can be obtained by chance. 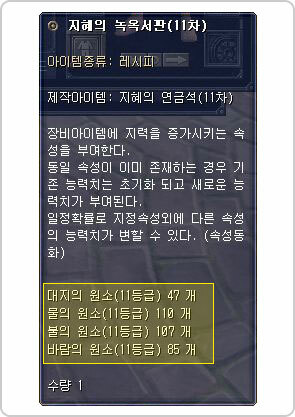 - Disassemble the item's type (normal / rare), corresponding to the advanced elixirs can be obtained. - Disassemble the items that correspond to areas of high elixirs can be obtained. - Corresponding to +1 in order to disassemble the items may acquire a special elixir. - Any item that can be used only 1 advanced elixir. - Screenshot of the following items, such as whether to use a tooltip to display the advanced elixir. * - Advanced elixirs the same or lower than the rank of the items are all available. (For example) a special 11th-1st through 11th elixir alchemical items that can be tried. KSRO Legend 9 - Heroes of Alexandria opens on 09-09-2009, the client will be released 2 days earlier.